Waterstop is " A section of flexible waterproofing material placed at any joint in concrete to prevent passage of water ". Joints in concrete structures, one side is subject to hydrostatic load, are provided with waterstops bridging the joints and embedded in concrete on either side. In concrete joints where expansion and contraction cause the joints to close and open, waterstop then are designed to accommodate itself to such movements. 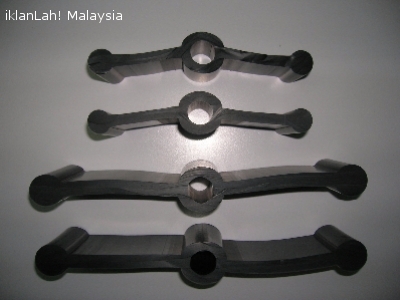 Flexijoint Thermo Rubber Waterstops are superior in performance than metal and pvc withstanding shear movements resisting hydrostatic pressure. Flexijoint Thermo Rubber ( TPR ) series Waterstop is extruded from specially formulated and blended high grade PVC and rubber compound. It is free from reclaimed PVC and rubber or vulcanized waste.Flexijoint TPR meets local " SIRIM " standard specification and international standard and widely applied in construction industry. Display shown is Flexijoint Thermo Rubber ( TPR ) Waterstop " Centre Blub " Series of 150mm and 230mm width suitable for subsidence, contraction & expansion joints including high movement joints. Other size 115mm and 305mm available upon request.